Your role is to keep the trees and landscapes surrounding homes and businesses healthy and looking good. But who advocates for your business? 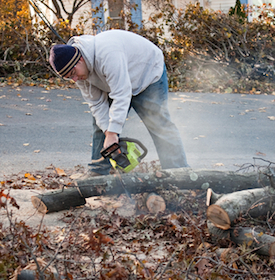 What risks do you face as a tree care specialist? Kincaid has partnered with West Bend Insurance to provide complete insurance coverage for your distinctive needs as a tree care specialist. Kincaid Insurance has created a partnership with West Bend in order to provide you with a policy that meets all of the requirements and options outlined above. Does My Tree Care Business Qualify for Coverage? We currently help business owners find affordable tree trimmer insurance in the following communities: Indiana, Kentucky, Illinois. We have customers spanning this area, including businesses located in Evansville, Newburgh, Boonville, Rockport, Jasper, Vincennes, Haubstadt, Terre Haute, Corydon, Princeton, Washington, Tell City, Ferdinand, Henderson, Owensboro, Louisville, Madisonville, Carbondale, Mt. Vernon, Olney, Fairfield, and many others.